One vote Democrats and Republicans can agree on – their print provider. 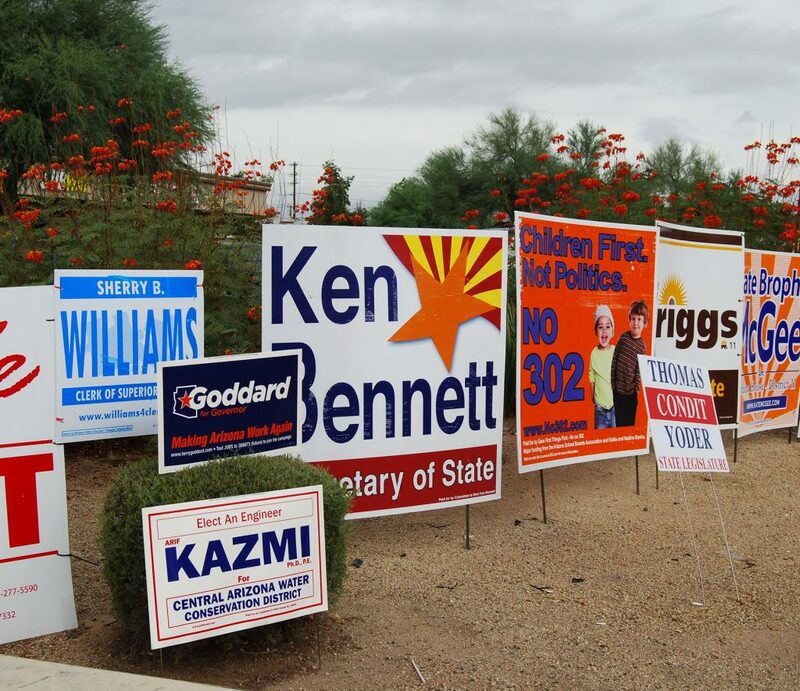 BPGraphics has been one of the premier printers of political and campaign signs in the U.S. for decades. We have been printing and shipping campaign signs across the country for over 50 years. Our goal is to help you maximize your campaign budget and strategy though fast and budget friendly printing technologies. If you need a large number of signs, we still screen print your order on our 5-color inline screen press. Nothing beats the quality, speed and price of screen printed election signs for large quantities. Have a smaller order? Our high speed digital presses make short run and full-color campaign signs affordable for any budget – from School District leader to Presidential hopeful, we have the experience to help your campaign. Most signs are produced on corrugated plastic to resist sun and rain. Our inks are UV resistant so your message won’t fade before the day of the vote. As the experts in big ideas, we can color match your campaign signs to your headquarter signage, fundraising signage, car graphics and more for a unified, brilliant looking campaign image. Campaigns are more than street signs, we can assist your run for office with bold vinyl banners for rallies, canopy tents and flags for rallies and fundraisers or small hand held signs for TV events. When voters go to the polls this year, make sure they know your name with beautiful political signs. With graphics that command attention.